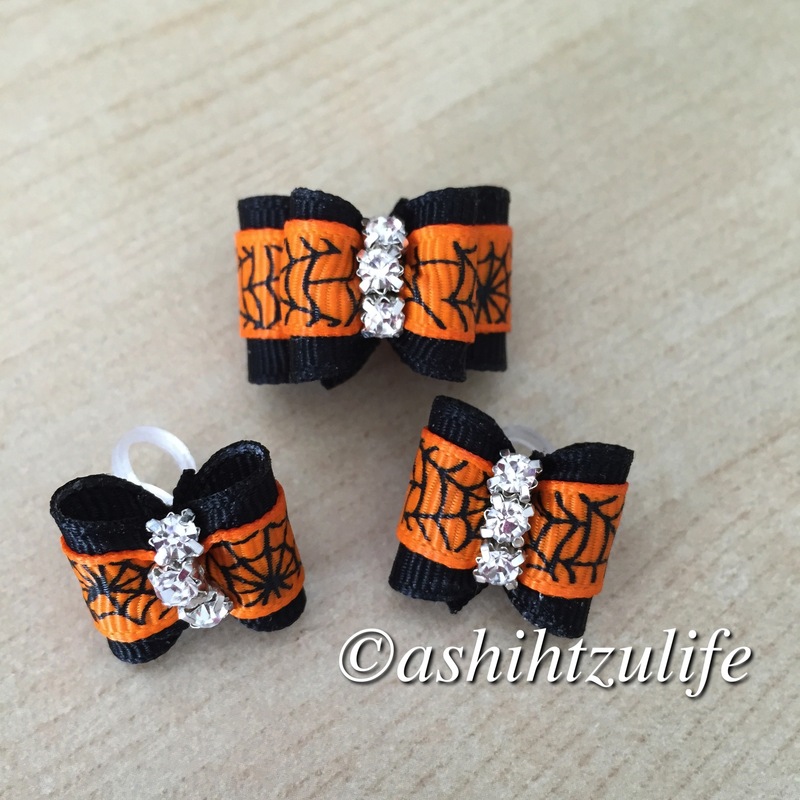 Halloween is just around the corner and I made these beautiful orange spider web bows for Pixie and Roxy. The in-between size bow can be used as a top knot or piggies. and the bottom pair can be used as piggies or a top knot for a very small dog or puppy. Different colours to follow.